Research shows that friends look, act, and react to situations in similar ways. If you look at your friends, you may find that they are similar in a lot of ways. Research suggests this could be for a number of reasons. Friends tend to share similar brain waves, and react to situations in the same way. Also, you might share some genetic similarities with your friends. But other things are important too, and some research suggests we change our friends in line with our evolving hobbies, beliefs, and interests. Some scientific research has shown how you’re likely to be attracted to people who share similar facial characteristics as you. One theory for this is that we associate people who look like us with our parents, and thus have more positive feelings towards their features. Similarities are also important for friendships. You may look around your friendship group and wonder how it is you all share the same sense of humour, or you all agree about certain things. This may be because we gravitate towards people with similar interests and opinions, but science could also have something to do with it. A recent study, published in the journal Nature Communications, found how neural responses could factor into our friendships. Researchers from the University of California and Dartmouth College recruited 279 students to take a survey about who they were friends with in their classes. A smaller group of 42 students were then asked to watch video clips while the researchers used function magnetic resonance imaging (MRI) to see what was happening in their brains at the time. Results showed the friends who watched the clips reacted in strikingly similar ways. Areas of their brains associated with learning, motivation, memory, and affective processing lit up. In fact, the brain patterns were so similar, the researchers said they could predict who out of the group had called each other friends in the survey without looking at their answers. The sign of a strong friendship could also lie in your DNA. 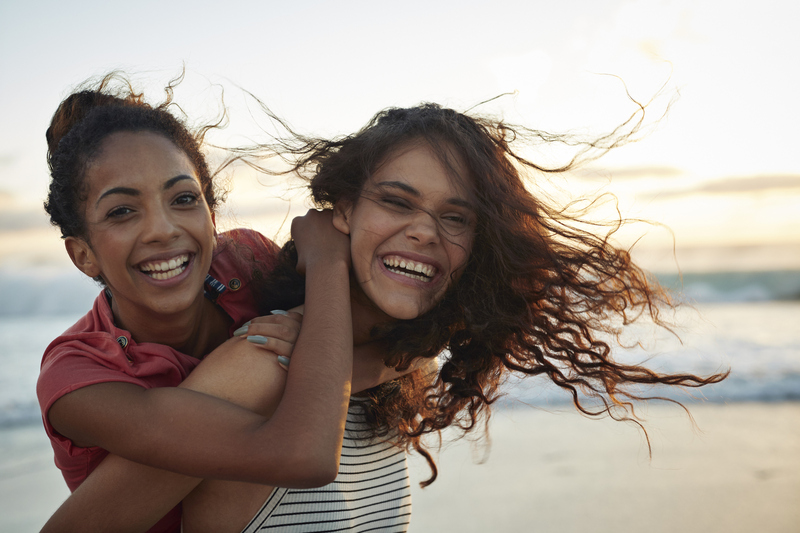 According to a study published in the journal Proceedings of the National Academy of Sciences, friends tend to be more genetically similar than strangers. Researchers from Stanford, Duke, and the University of Wisconsin carried out a series of genetic comparisons between pairs of friends using a dataset of 5,500 American adolescents. They found many more genetic similarities between the friends than between pairs who didn’t know each other. Also, friends were about two thirds as similar as married couples, who have been found to share similar DNA. One reason for this happening could be because people are drawn to others who come from a similar background, had the same level of education, or are of a similar height and weight — a phenomenon known as social homophily. Another reason could be social structuring, which is when we forge friendships within shared social environments, such as schools or the place you live. A study that looked at behavioural data from social media, published in the journal Psychological Science, found that people are more like their friends than research previously thought. Decades of research suggested there was no evidence that friends and romantic partners had similar personalities, according to Youyou Wu from the University of Cambridge, the lead author of the study. However, the researchers suggested this could be because people tend to compare themselves to people around them when answering questions like “are you well organised?” So, they decided to observe people’s behavior via their social media accounts, rather than relying on questionnaires. They collected Facebook data from 295,320 participants, and gathered information about their personality traits from people’s “likes” and status updates. Overall, the results showed there was a substantial similarity in personality traits between both friends and romantic partners. It may sound obvious, but sharing interests is very important for solid friendships. Back in 2010, researchers looked into people’s Facebook habits to try and work out why this is. The study, published in the Journal of the Royal Society Interface, concluded that we change friends throughout our lives because we form friendships through similarities in our professions, interests, hobbies, religion, or political affiliation. However, our interests are always in flux, and our personalities change throughout life. In other words, as we grow up and our interests change, our friends are likely to be in keeping with that.